A ‘normal’ vomit should be quick, happen once only and not be accompanied by a loss of appetite. A good rule of thumb is that if a cat vomits once a week or more, you should get them checked by a vet. The causes of vomiting in cats range from simple things like hairballs, food intolerances or eating too fast to serious illnesses like kidney disease and cancer. Your vet should be able to tell if the problem is serious or not. 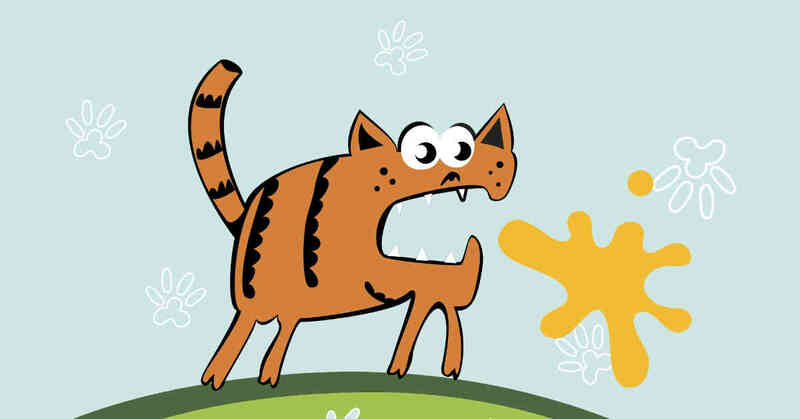 Hairballs are not as common a cause of vomiting as most cat owners think. Cats swallow hair every time they groom and often carry harmless hairballs in their stomach. Then they vomit, and hey presto: the hairball gets blamed. Though rare, hairball problems requiring surgery do sometimes occur in long-haired breeds. For short-haired cats, a hairball should only cause a very occasional single vomit. The cat should be otherwise perfectly happy, healthy and have a good appetite. Mild cases can be prevented by using hairball diets. These help by encouraging ingested hair to be passed before it clumps into a ball. More severe cases in long-haired cats can often only be controlled by regular clipping to remove the hair. I see almost no response to the use of laxative-type ‘hairball removers’. Vomiting is more common when cats are given free access to large meals. It’s just that some cats aren’t very good at eating slowly or stopping at the right time. This is especially true for dry foods, that start to swell once they moisten in the stomach. Rapid eating is also a problem in cats who feel like they have to compete for food. The result in both cases is usually a firm cylinder of vomited food that doesn’t look like it’s been digested at all. Usually it comes up shortly after eating. For all cats, stopping dry foods may be needed, but it’s better to use a food dispenser or teach your cat to accept small regular meals. Prevention in multiple cat households should start by allowing them to eat their dinners separately. Just like people, cats can be intolerant of certain foods. Like in the previous example, they should be otherwise normal in health. However, as adverse food reactions are not all that common, it’s important to rule out the more serious reasons for vomiting first. Cats aren’t as silly as dogs. 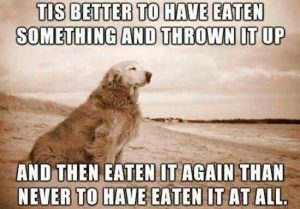 However, even they will sometimes eat something they shouldn’t. Many of these cats need treatment but should make a full recovery. We almost never identify the cause. Cats with outside access get more of these stomach upsets, probably due to infections from birds, reptiles or rodents they eat. Even sillier cats, and especially kittens, sometimes eat foreign material. 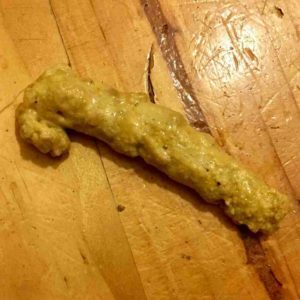 One cat started vomiting after eating the string that wraps meat, whereas others have eaten cooked bones, fish hooks, toys and even babies’ teats. 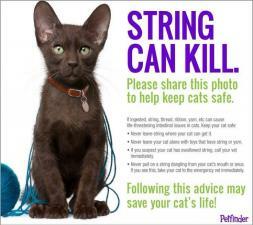 The worst cases come from swallowing string, which is why we never advise playing with it. It gets caught on their rough tongue and they seem to almost swallow it by accident. Parasites are probably an unusual cause of vomiting, although we can’t be certain. Just to be sure, I always worm cats that vomit frequently. To illustrate just how vague a symptom it is in cats, vomiting is also one of the signs of feline heartworm. That’s thankfully quite rare these days. Nearly all medicines can cause vomiting, so if your cat takes something please make sure you tell your vet. Particularly common culprits are treatments for feline arthritis and hyperthyroidism. Many viral infections sometimes have vomiting as part of their symptoms. These include feline infectious peritonitis (FIP), feline panleucopaenia (also called feline enteritis or parvovirus) and feline leukaemia virus (FeLV). The last two have effective vaccinations. In Adelaide cats certainly need the feline enteritis vaccination but we don’t have much leukaemia virus to worry about. There are special reasons why a mature cat might vomit that are rare in young cats. Here are the most common. Vomiting in an older cat can have any number of explanations but in my clinic, the number one cause is constipation. These cats usually look and act well, but are vomiting a little more often and may have lost some weight. These are the same symptoms as the next five causes so please don’t treat your cat for constipation without seeing the vet first. Once it’s confirmed, visit our page on the treatment of constipation in cats. The next five are all diagnosed or excluded by routine wellness blood testing. Cats with excessive thyroid hormone levels commonly have a ravenous appetite. A bit like the rapid eaters and over-eaters I mentioned earlier, this can lead to vomiting after meals. Visit this page for more on thyroid problems in cats. Kidney problems are always high on our suspicions if an older cat is vomiting but drinking more. Other signs are a reduced appetite and weight loss. Visit here for diagnosis, staging and treatment of feline kidney failure. There is no doubt that we are still missing some cats with pancreatitis despite having a new test. The good news is that we’re much more aware of it than we used to be, and treatment is generally successful. Cats get a range of liver diseases, but especially cholangiohepatitis. It requires a biopsy to diagnose but is then usually easy to manage. Diabetes in cats is another common disease, especially of the overweight and middle-aged. It’s not at all a death sentence with modern insulin choices like glargine. What we call IBD or inflammatory bowel disease is really a very poorly understood chronic problem. It causes vomiting, diarrhoea and weight loss over many months. Intestinal biopsies are essential for its diagnosis. The most common cancer of the gut in cats is small cell lymphoma. It looks exactly the same as IBD until biopsies are done, but is quite treatable once diagnosed. Many other tumours and cancers can affect the gut of older cats just like many other species. Most can be removed if diagnosed via ultrasound in time. Related: Causes of vomiting in dogs.